You won’t solve problems by just looking at the data. 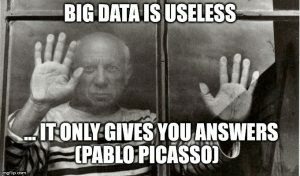 As Picasso used to say Computers are stupid they can only give you answers. This person needs to be able to identify and see problems, e.g. by looking at existing metrics/reports or by defining new metrics that expose problems. He or she needs to come up with the right questions. This is the first step. 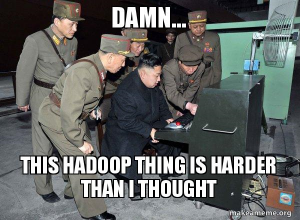 Traditional BI tells you that you have a problem, advanced analytics tells you why you have this problem. It will be the task of this person to find the problems and then come up with the right questions and hypotheses to get to the bottom of the issues. I have 17 years’ experience as a consultant, architect, manager, and developer in the data industry. I frequently speak at conferences and am a regular contributor to blogs and books. I also hold an Oracle ACE award, and chair the Hadoop User Group Ireland. I am a co-founder of the Irish chapter of DAMA, a non for profit global data management organization.